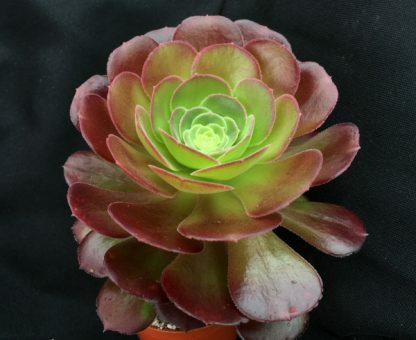 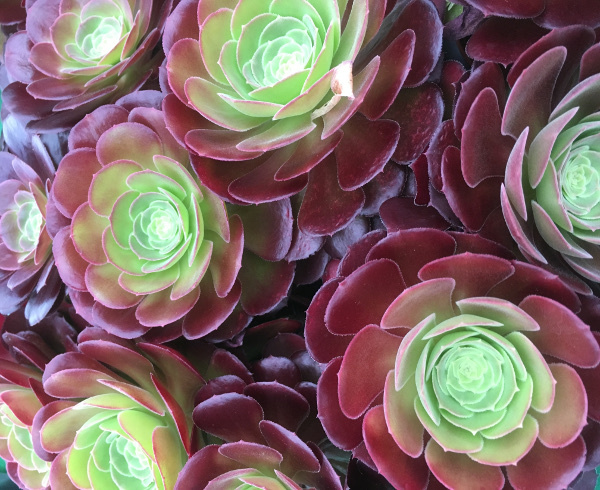 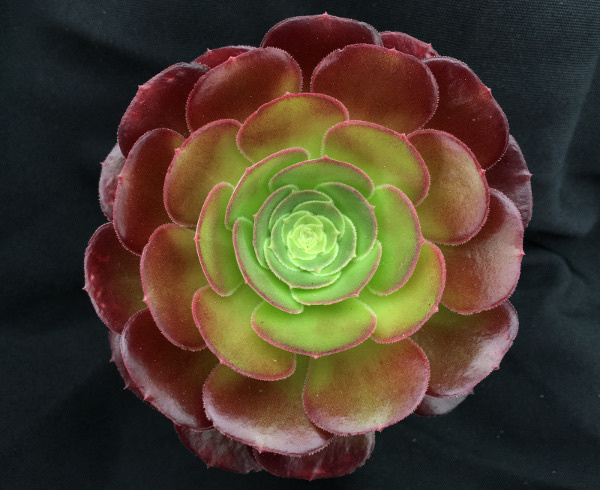 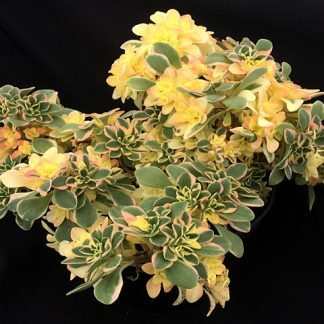 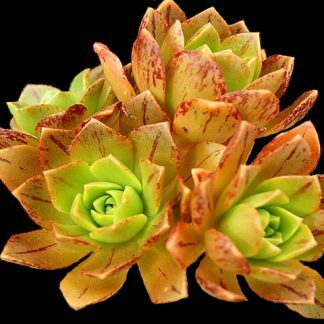 Aeonium ‘Durango’ is new cultivar that puts on a beautiful display of multiple heads as it grows, the leaves are velvety red which will turn green during the winter. 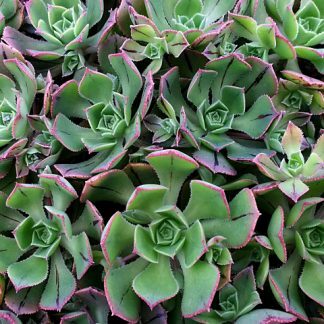 It will eventually grow between 2 and 3 feet high with a 2 foot spread. It makes a fantastic pot plant.